Keep your inbox spam free. Works with Office 365, Office 2019 & Older, Outlook, Live Mail, Outlook Express, Windows Mail & IMAP. Join over 50,000 satisfied customers. Decide who and what makes it into your Inbox. Choose which email addresses, words & phrases, countries, languages, and IP's are allowed or blocked from your Inbox. SpamBully always makes sure people in your address book make it to your Inbox. Detailed information about each email you receive including: IP address, country, character set, and how SpamBully filtered it. Tells you why a message was or was not blocked and how to correct this in the future. Comprehensive graphing and statistics shows you how well SpamBully is working. Excellent anti spam solution. I have tried most of the other programs out there and SpamBully definitely is the most accurate and easiest to use. Keep up the good work. 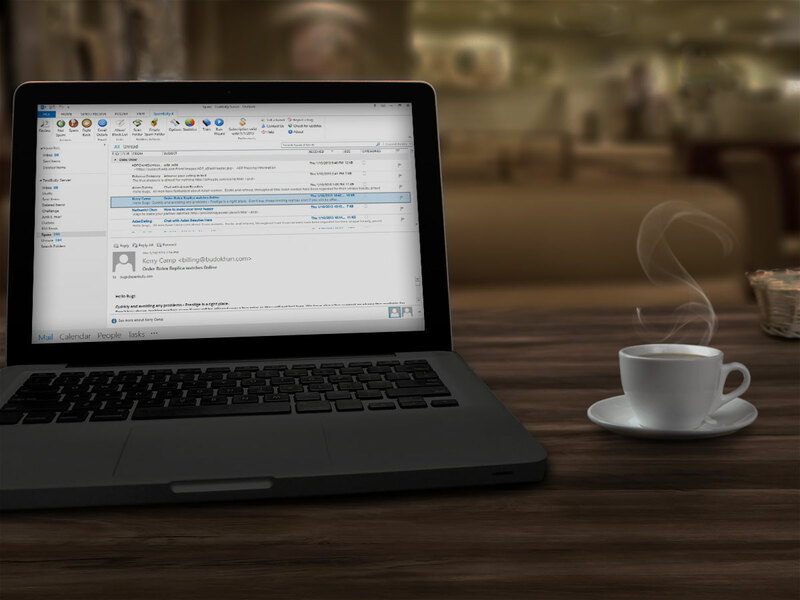 I have tried practically all anti spam software including MailWasher Pro and this software comes out tops. It offers you so much by way of dealing with spam. The reports are outstanding and presents you with a wealth of information that you can use. It is without a doubt exceptional software. I get about 50 spam e-mails a day. My options were to change e-mail address (who knows how long before that is spammed plus the cost in time of advising all my contacts) or use an effective spam blocker Spam Bully. I've now got 99%+ of my spam identified by Spam Bully, and I can keep my e-mail address! I have a very old email address, and do not want to change it for many different reasons. Because I have an old email address, I have ended up on almost every spam list in the world. I usually receive 400-600 spam emails per day. Spam Bully has given me the freedom to once again enjoy reading my email. This is our third trial of a spam filter. SpamFighter and ihatespam did not keep spam out of our email. I was really so frustrated! But then we downloaded SpamBully and it has virtually eliminated spam in just a few days. This is the one we will most certainly keep and buy. Thank you for SpamBully! We are very pleased with the program. It is such a pleasure and a relief to open up the email and not see spam! Thank You! This is hands down the best spam blocker I have seen. It is way better than the McAfee system I was using. I tried several different spam filters and Spam Bully was by far the easiest and the most comprehensive of the bunch. SpamBully is one of the best pieces of software I have purchased. I was getting well over 100 spam emails per day until I downloaded this product. I tried others, even the one that is supposedly rated #1, but as far as I am concerned, Spam Bully is #1! Thanks for an excellent program. It has brought sanity back to email. This software is really intelligent. It's learned what my preferences are and has virtually eliminated my spam problem in just days. I'm definitely purchasing this program. A must-try for any Outlook user! Spam Bully is an efficient anti-spam tool that can help you avoid just about all spam in your Inbox. Spam-sniffing abilities that are very, very good on Day One and practically flawless after a week or so of very easy training. BEST BUY: This program's Bayesian filter rapidly adapts to new types of spam. After a few days of your feedback, it's smart enough to stop nearly all junk email from reaching your inbox.